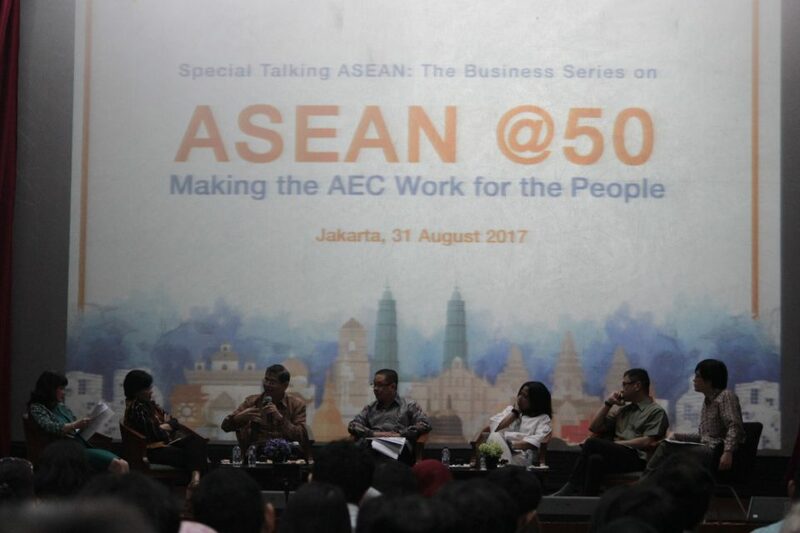 The Coordinating Ministry for Economic Affairs of the Republic of Indonesia, in collaboration with the Ministry of Trade of the Republic of Indonesia, the Habibie Center, BINUS INTERNATIONAL, the Indonesia Services Dialogue Council, and the Indonesian Entrepreneur Organization (HIPPI) held its Special Talking ASEAN: The Business Series on ASEAN @50: Making the AEC Work for the People on Thursday, 31 August 2017, at the Coordinating Ministry for the Economic Affairs Office Building, Jakarta. 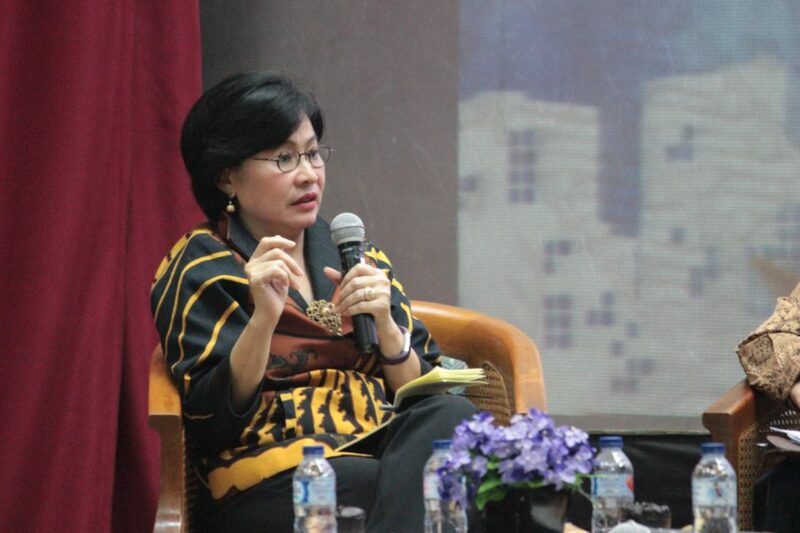 This event aimed to examine ASEAN’s progress in making its economic integration initiatives relevant for the citizens in the region; to identify ways in which the AEC can be made more people-centered and people-oriented; and to facilitate discussions amongst all relevant stakeholders concerning potential AEC-related issues, challenges, and opportunities in years ahead. 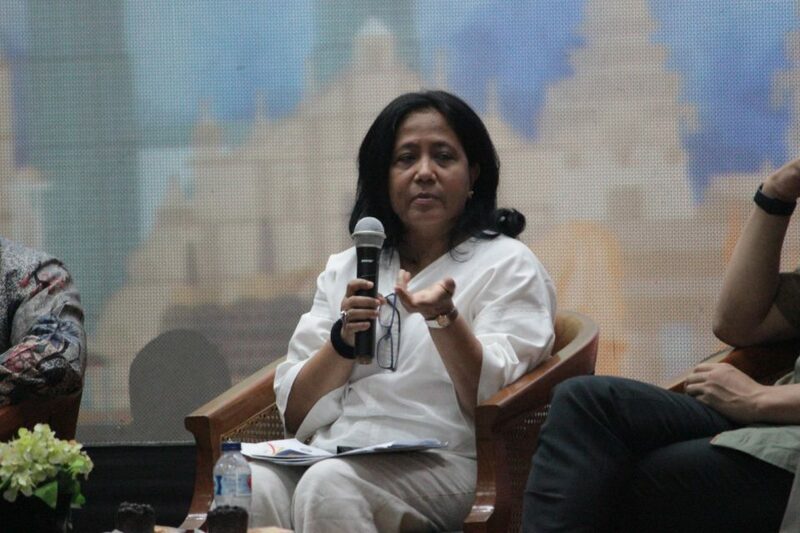 The keynote speech was presented by Dr. Lukita Dinarsyah Tuwo (Secretary for the Coordinating Ministry for Economic Affairs, Republic of Indonesia). 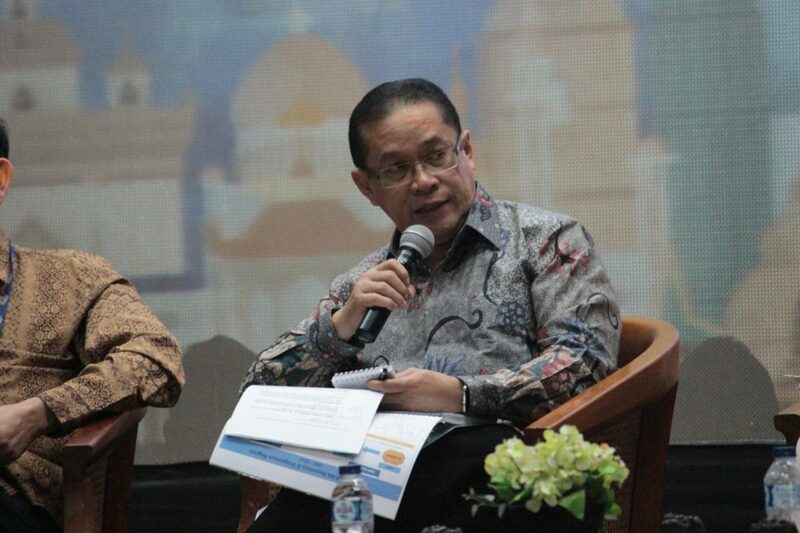 This Talking ASEAN featured Dr. Rizal Affandi Lukman (Deputy Minister for International Economic Cooperation Coordination, Coordinating Ministry for Economic Affairs, the Republic of Indonesia). 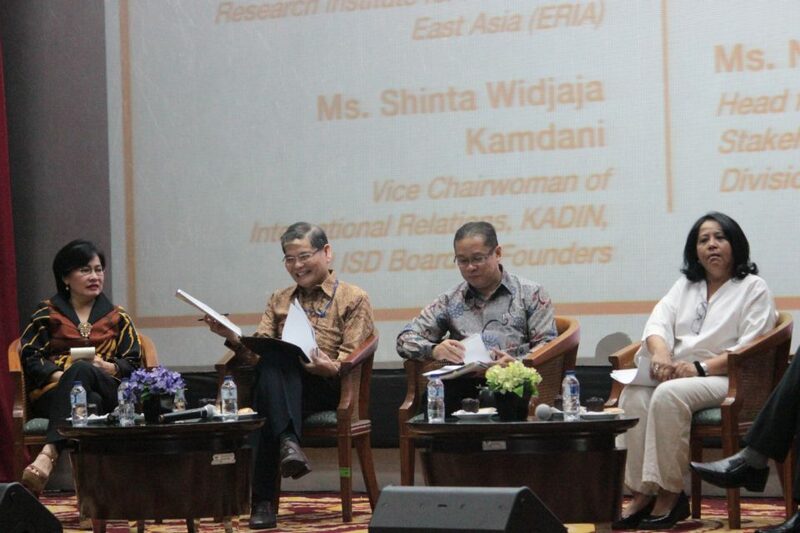 Dr. Ponciano S. Intal (Senior Economist, Economic Research Institute for ASEAN and East Asia), Ms. Shinta Widjaja Kamdani (Vice Chairwoman of International Relations, Indonesia Chamber of Commerce and Industry (KADIN)), Dr. Suryani Sidik Motik (Chairperson of the Indonesian Entrepreneur Organization (HIPPI)), Mr. Enrico Pitono (CEO of the Matata Corporation UK Limited), Ms. Nora’in Ali (Head of the Enterprise and Stakeholders Engagement Division, ASEAN Secretariat) as speakers, with Dr. Alexander C. Chandra (Associate Fellow, the Habibie Center) serving as a moderator. 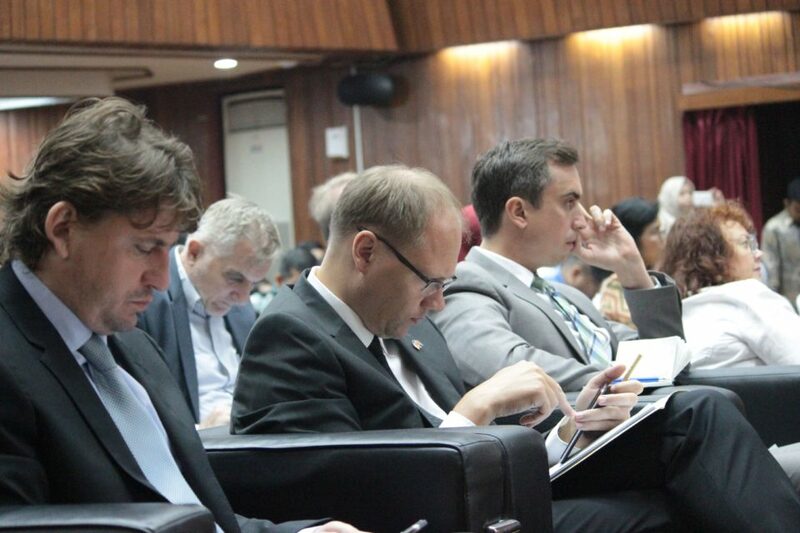 Today’s dialogue was a special event as ASEAN member states celebrated the golden (50) years of ASEAN. Starting with just 5 countries with the objectives to cultivate the cultural similarities and to resolve political tensions in the region, now it has evolved to have economic cooperation with 10 countries and is one of the biggest blocs in the world. 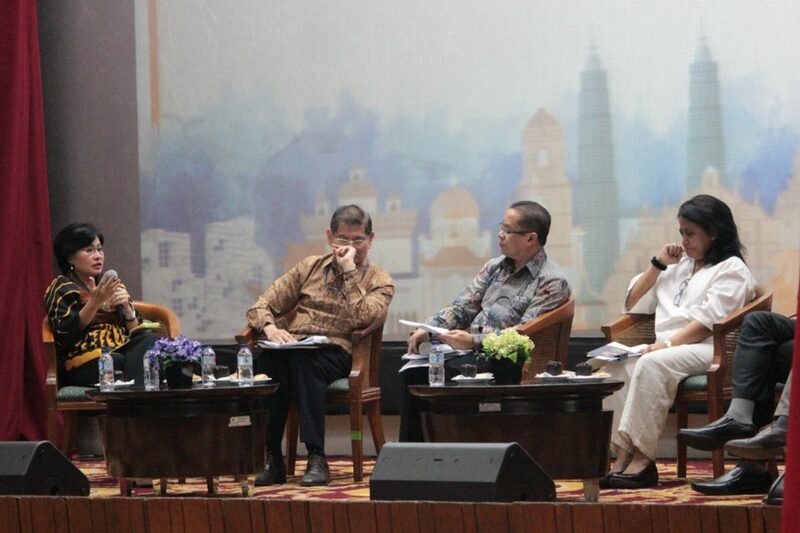 ASEAN as a region has achieved significant progress and prosperity. ASEAN’s combined GDP stood at USD 2.55 trillion in 2016 with an average GDP per capita reaching almost USD $4,000. It is Asia’s 3rd largest, the world’s 6th largest, and among the most advanced integrated markets. With a combined population of over 629 million, ASEAN has vast markets. With a combined population of over 629 million, ASEAN has a vast consumer base, behind only China and India globally. 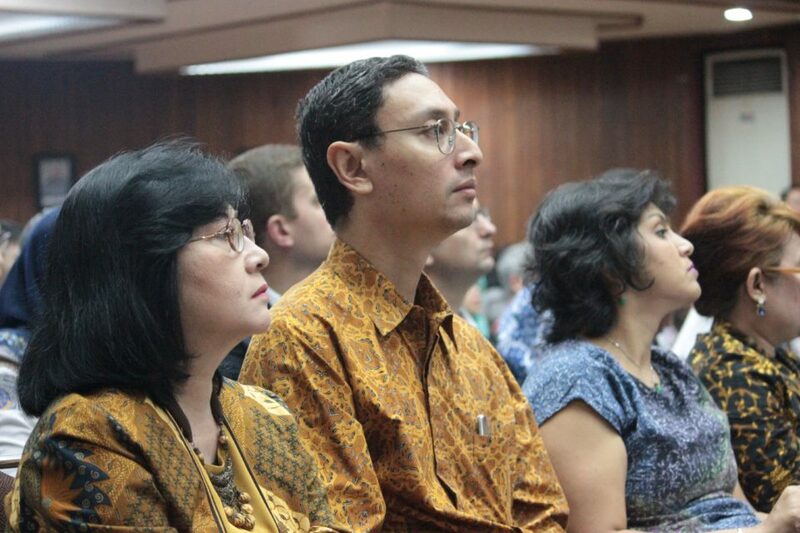 Indonesia is the largest economy in ASEAN, reaching 35% of the ASEAN GDP. Indonesia’s population is around 40% of the total ASEAN population with the largest pool of workers in ASEAN, roughly around 157 million potential workers. Many of these potential workers are still young, and this can become a key driver of ASEAN growth in the future. 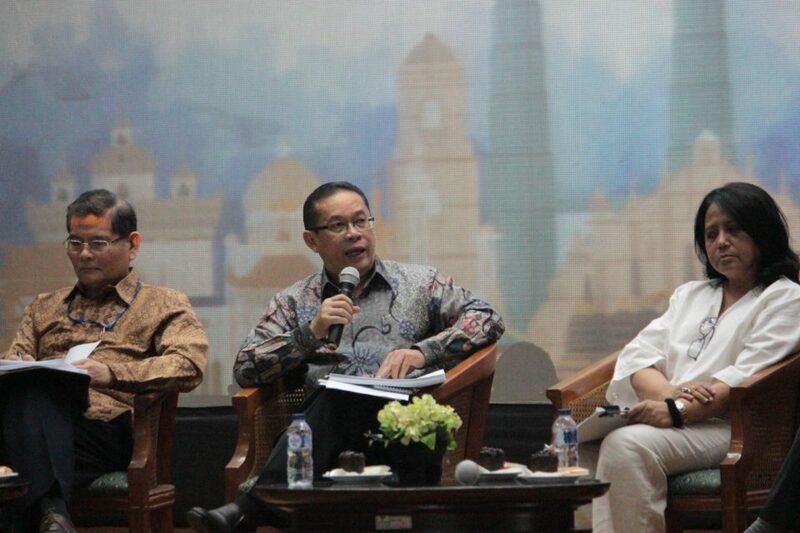 This event theme “Making AEC Work for the People” is in line with President Joko Widodo’s administration, which emphasizes serving the people as the key outcome. 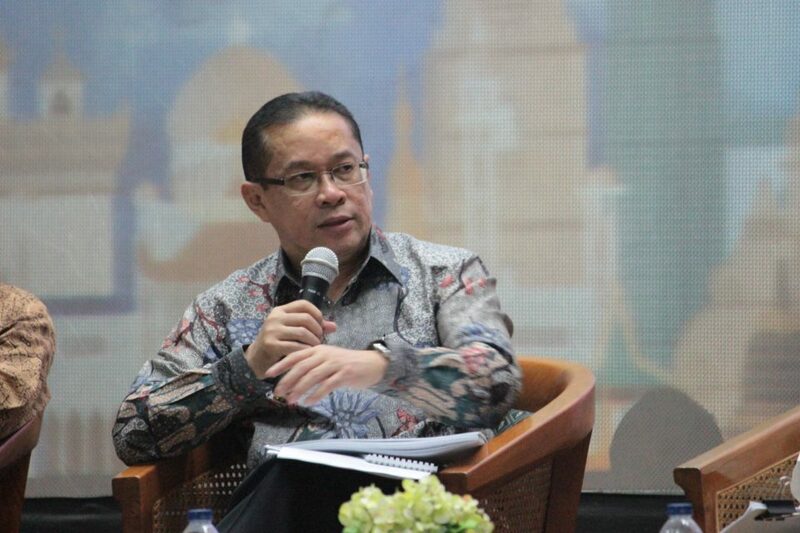 The Government of Indonesia has started to make AEC work for the people by linking it to economic reforms which cover 6 areas, namely i) improving the investment climate; ii) boosting industrial competitiveness; iii) increasing logistics efficiency; iv) promoting tourism; v) stimulating exports; and vi) strengthening people’s purchasing power. 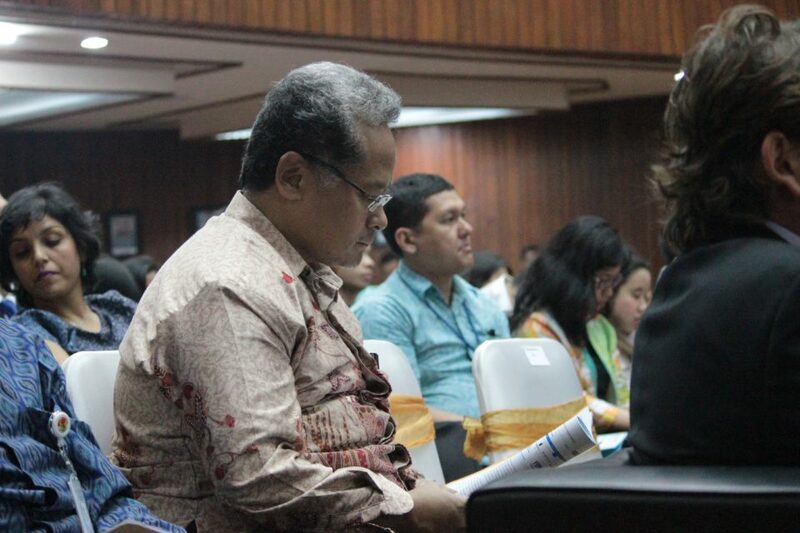 The preliminary results of the economic reforms are not only reflected in Indonesia’s solid economic growth, but also accompanied by gains in several social indicators, namely the declining level of absolute poverty. There is a declining trend of the Gini ratio after a rising trend in previous years, and lowered unemployment rates. 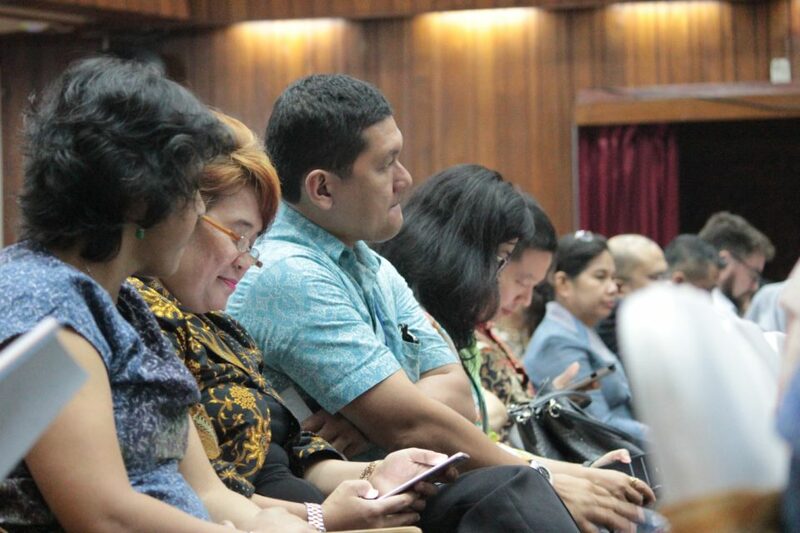 Economic reform packages combined with the AEC concept have impacted the people. One example is in the tourism industry where 36% of international tourists entering Indonesia were intra-ASEAN tourists. 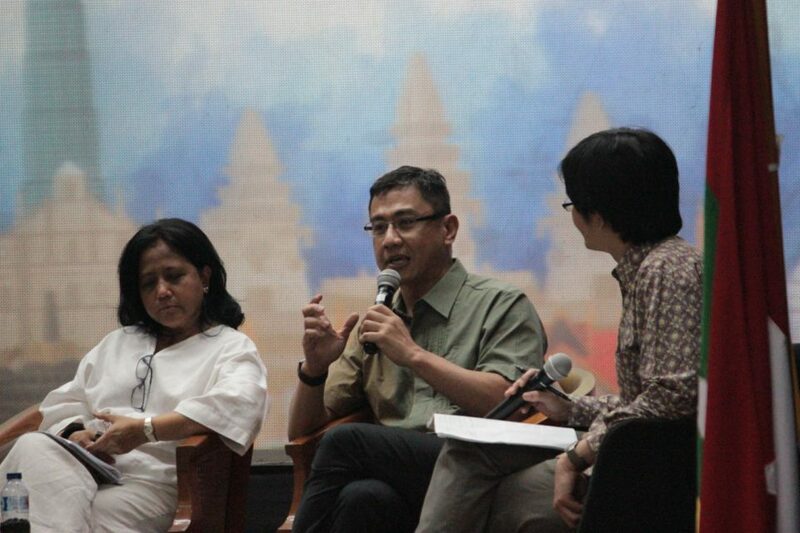 More and more ASEAN tourists are visiting other areas in Indonesia besides Java and Bali. 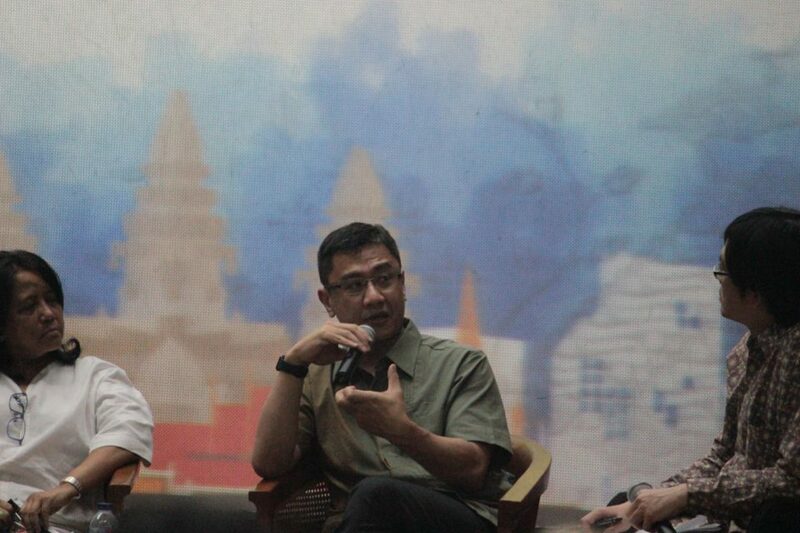 They are visiting Lombok in West Nusa Tenggara and Manado in North Sulawesi. Their visits have helped micro, small, and medium enterprises (MSMEs), which are the backbone of the tourism industry in those areas. 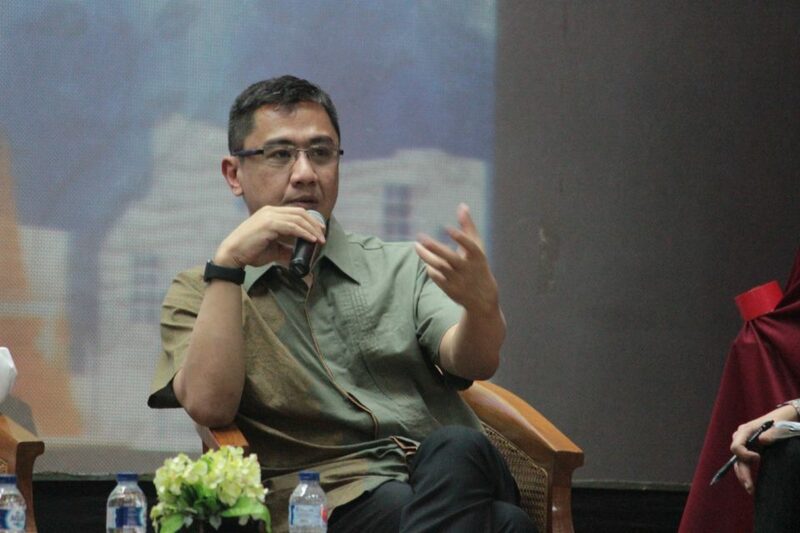 The Government of Indonesia will keep improving the connectivity, infrastructure, and logistics in many tourism areas, as the government has already launched 10 strategic areas for national tourism. 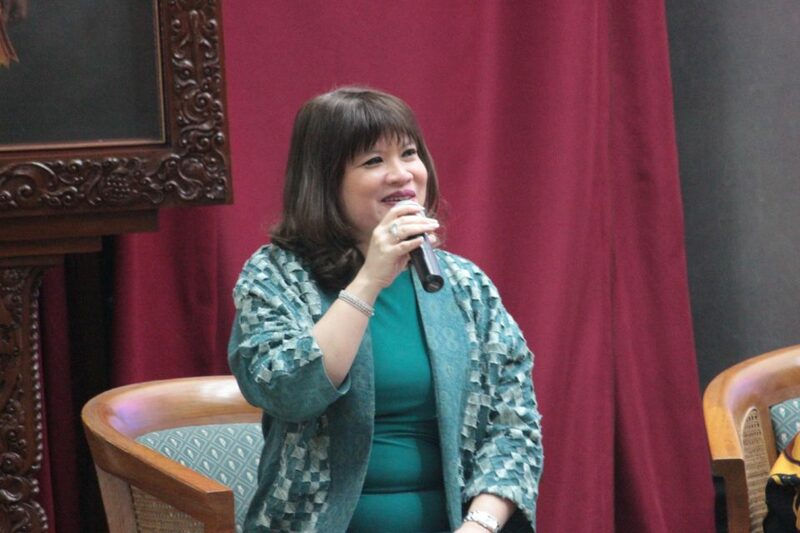 There is a high expectation for ASEAN to become a major global economic actor. 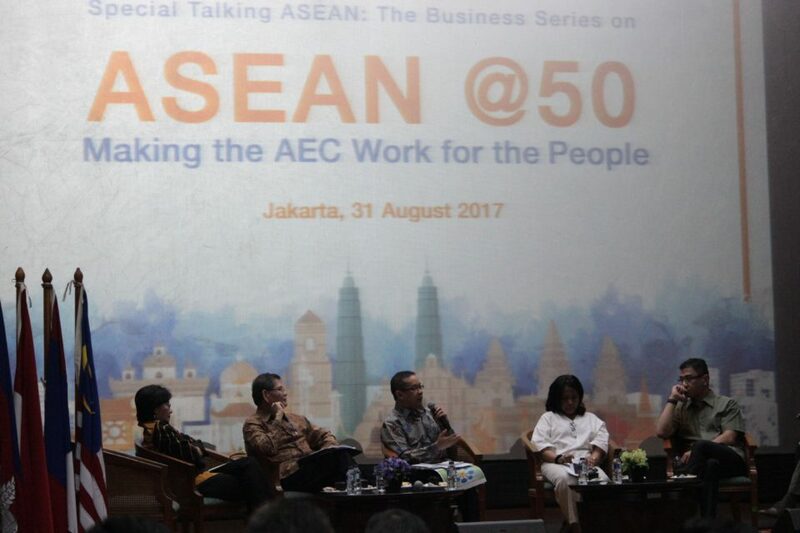 In order to achieve that objective, ASEAN needs to improve the AEC approach to meet global and regional challenges and opportunities, while, at the same time, remaining relevant to its citizens. Therefore, we need to improve the institutionalization of the engagement process between ASEAN and its stakeholders to enable AEC to provide real benefits for the people. “We need to work together in other pillars. 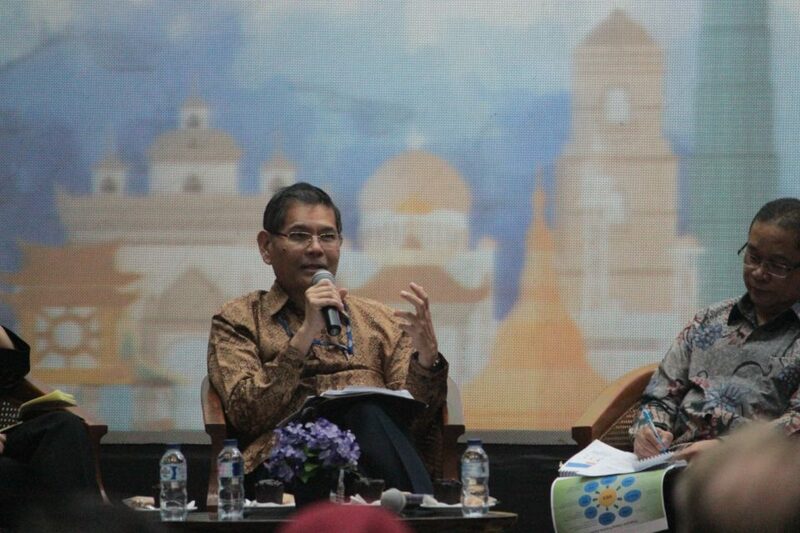 Not only in economy, but also in social and culture,” said Dr. Rizal Affandi Lukman.